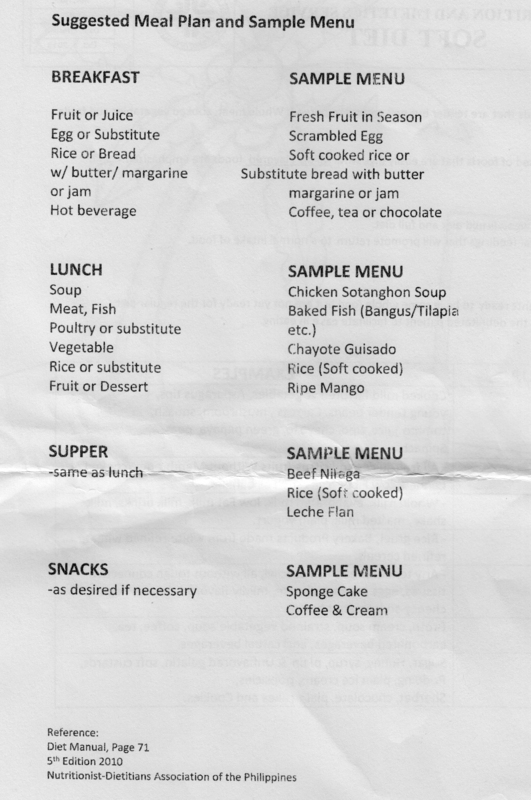 I was also given this meal plan after I got out of the hospital last month. Following certain meal plan and doctor’s advice has hasten my recovery after a medical procedure on December 13. Kindly read the brief story of my surgery here. This entry was posted in Diet, Meal plan and tagged nutritionist approved meal plan, post surgery meal plan, sample menu on January 25, 2017 by Yami. This was the hospital-recommended diet that I followed for two to three days before and after my operation last December 13. 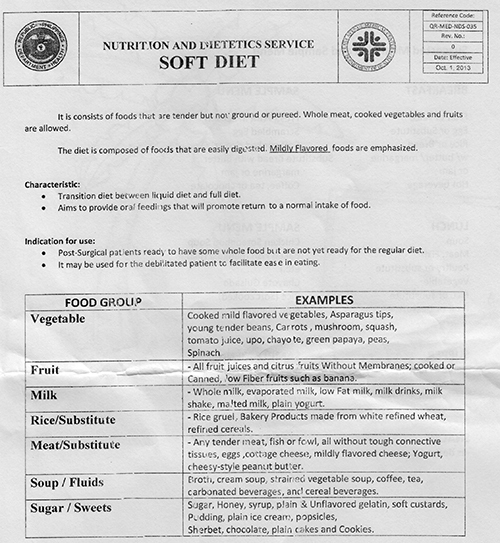 This entry was posted in Diet and tagged hospital recommended diet, soft diet on January 6, 2017 by Yami.